These are supper cute pillow covers. Note that they do not come with an insert -- you need to supply that. I had trouble finding inserts the right size and firmness; the first one I tried made it too hard and the second one was too flimsy. Also, the stitching came out along the zipper where I removed the tag; be careful! Easy enough to sew back together. Overall, the look is really fresh and modern, and I'm glad I bought these.. 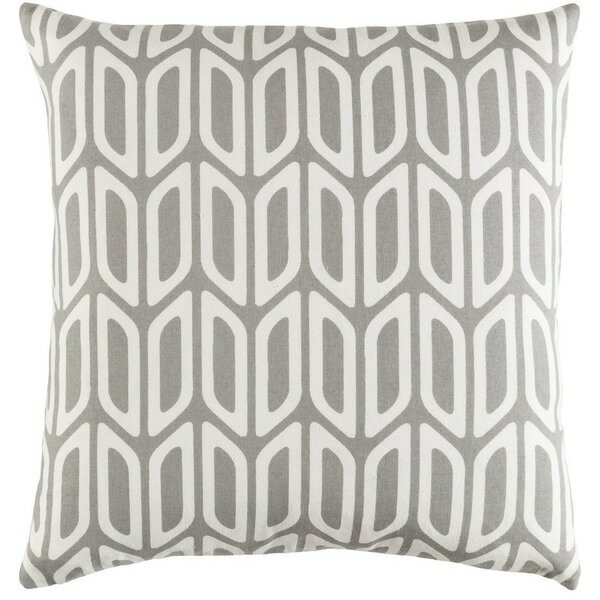 The modern vibes displayed by this accent pillow are the perfect aesthetic for the happy and chic home. Fun nostalgia comes alive in colorful vintage notes while pairing well with mid-century modern furniture. 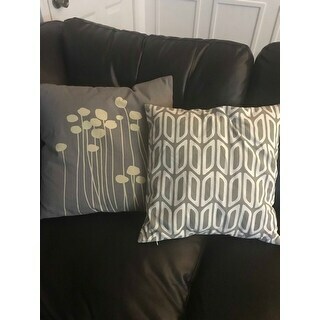 This pillow has reversible cover and also have zipper on knife edge. This is very nice but was not what I thought I ordered. I thought I ordered a pillow, not a pillow shell but that is my fault for not paying attention. I had the perfect sized pillow to put it in so I kept it and it looks very nice and I'm pleased with this purchase. This is just the cover or the shell to a pillow but I was able to take an old pillow and simply slip it in the shell. The zipper is very nice and discrete. Love the simple transitional design. Recommended. Yellow is just as it is in the photo. Great quality just what I needed to match the other two I had in the room. I hope it will look good with my ocean view pillows. Nothing adds to the style and comfort of your living room sofa like a decorative pillow arrangement that brings added texture and color to your furniture. When the weather starts to warm up, it's time to get your patio ready for regular use by family and friends. Use these six tips to decorate your patio with a designer's eye and create a fashionable space that will dazzle all your guests. Feed their retro addiction with the perfect Mid-Century Modern gift. Read on for our top 10 retro-chic Christmas gift ideas. Trade in your visons of rustic antiques, patchwork quilts, and star spangled accents for a new, updated Americana decor. We've reimagined this classic look with fresh furniture, a muted color scheme, and industrial accents to create a look that strikes right at the heart of American decor. Learn how to mix and match patterns like an expert with these interior design tips and tricks.